Last weekend, I was invited to take part in an author interview at Writing.com – If you are interested to read more, the interview has been reproduced below. Good day, my cats and kittens! Today’s interview with Maxwell Grantly is going to be a bit different than those that have come before, for reasons that will become quickly apparent. 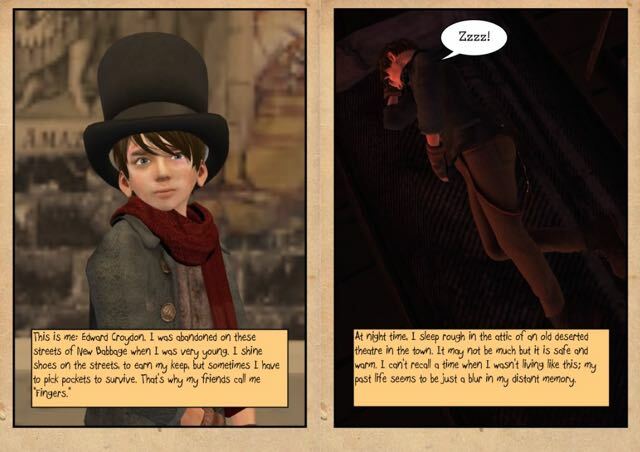 You see, Max writes illustrated steampunk stories for children. He uses a cute icon instead of a portrait photo so I don’t have a picture of him, which is his right. He teaches school in a coastal hamlet of Great Britain (Doc Martin, anyone? ), which would seem to give him a good insight into the minds of children, so let’s dig in and see what he has to offer. What is the title of your latest work? What is its release date, or is it out already? My latest ebook is called “Fingers and the Dream Thief.” It was released just a few days ago, on the 5th of April and it formed the last part of a trilogy involving a character called Fingers: a young shoe-shiner who picked the pockets of his wealthy clients. I know that authors are not meant to have favourites from their own work. When I speak with other authors about which of their books they prefer, they often reply that they like them all. (I guess this may be due to a reluctance to admit that, if one book is stronger, then there must be others that are not so strong.) However, if you ask me, “Fingers and the Dream Thief” is a firm favourite of mine and so, sadly yes, consequently it can be deduced that some of my other books must therefore be weaker. A wealthy steampunk photographer, Mr. Snude, finances the local orphanage but abuses his generosity, by stealing the children’s dreams. It is left to a street urchin, called Fingers, to turn the tables on Mr. Snude and teach him a lesson he will never forget. What inspired this? What decisions brought these characters to this place and time in this genre? Initially, I was planning to just write a single graphic novel, based on the character of Fingers the pickpocket. He was created to steal a pocket watch from a steampunk inventor, only to discover that the device was actually a portable time machine. It was my intention to allow Fingers the opportunity to go back in time and confront his parents, in an attempt to make sense as to why he had been abandoned on the streets. As I worked on the development of his character, I saw a great deal of potential for further stories. 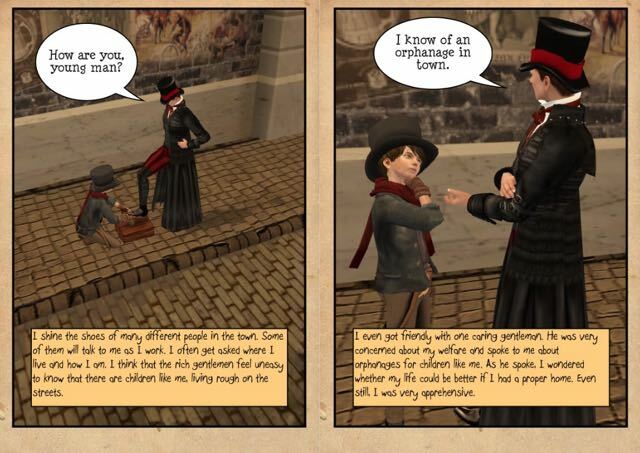 I found that I had really enjoyed working with a devious young pickpocket as a main character. A second story followed immediately called “The Incredible Adventure of Fingers and Boston,” where Fingers used his pick pocketing skills to distract a villain at a critical point in the plot. This time, I used a picture book format for the story and I really enjoyed working on it. I simply didn’t want to stop developing this interesting character. Additionally, I had deliberately left the first book with a loose end and so I thought that a third and final instalment would be ideal to give perfect closure to this character. Quite simply, I felt that Fingers had earned himself a happy ending. 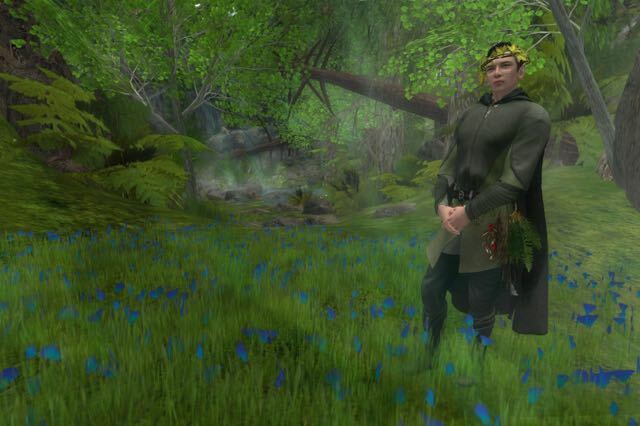 Without giving anything away, did you intend to teach a morality fable or a life lesson, or were you simply telling a rollicking good tale, entertainment for its own sake? When I write, I just want to tell a good story. I feel that it is a basic feature of every human being to be creative. Some people find their creativity in their hobbies, art, dance, music; other people find a release for their creative spirit by consuming the creativity of others. I find that the production of stories is a great release that allows me to be creative, simply for the joy of doing so. Sometimes a fable or lesson might arise naturally from the plot but, when it does, it is often unintentional. I would like to think that, when a reader browses through my work, they are able to enter a magical world of suspended belief and join me in my bizarre world of fantasy, if only for a brief moment. Setting may be real or imagined, but it is a vital component of any narrative. How did your story come to be told in this setting as opposed to any other? My last three stories have all been steampunk but I don’t always choose this particular genre. Many of my earlier stories are fantasy but, again, I am not one to stick rigidly to any particular style. I love to experiment, to dabble with styles and themes. I have written short novels, longer novels, graphic novels, picture storybooks and I have worked in the first person tense as well as third person tense. My heroes have been elves, robots and people. As for my interest in steampunk: I have always had an interest in the Victorian era. I love the dress, the innovations and the architecture of this period. 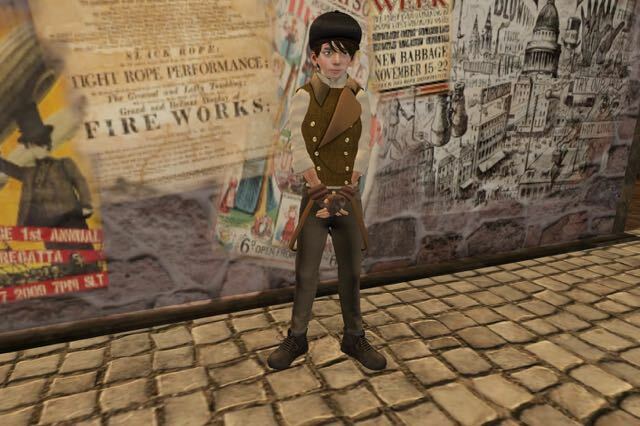 When I stumbled across an online steampunk simulation (New Babbage), my interest was galvanised. I have heard it said and firmly believe that the characters are the crux of any story, and that if your characters fall flat, no amount of quality in the descriptions or action sequences can save the narrative. Again, without giving anything away, who are your heroes and villains, what went into their makeup, and what nuances should we watch for to maximize our enjoyment of the book? My books are strongly graphical in nature. I love to create my stories around beautiful imagery. The production of each story starts with the selection of characters, both good and bad. The characters are then tweaked and modified until I am happy with their construction. 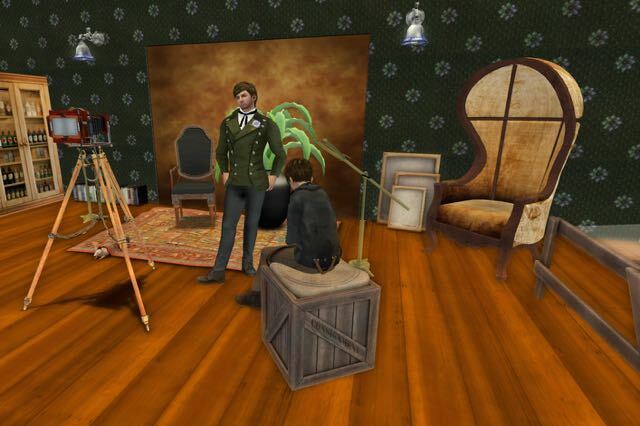 Next, I place these characters into an environment and add some dilemma that needs to be resolved. Since I aim my stories for young children, my characters are instantly recognisable as being either good or bad. The hero is often a child who is disadvantaged in some way. His or her psychological make-up is usually based upon someone I know: a friend or relation. I have heard that friends of famous authors sometimes explain that they recognise themselves in the stories of these authors. I wonder if my friends or family may ever recognise themselves in mine! Using known people, on which to base characters, is a great way of ensuring effective continuity in a story. Each time a character is faced with a dilemma, I just wonder how my friend or family member would react in this scenario. Have you ever had a character that was intended to be part of the background stand up and take over the narrative, or a substantial part of it? Anyone you can talk about without giving out spoilers? How did you handle that situation? I can’t recall a time when a minor character stepped forward and became a substantial part of the storyline. 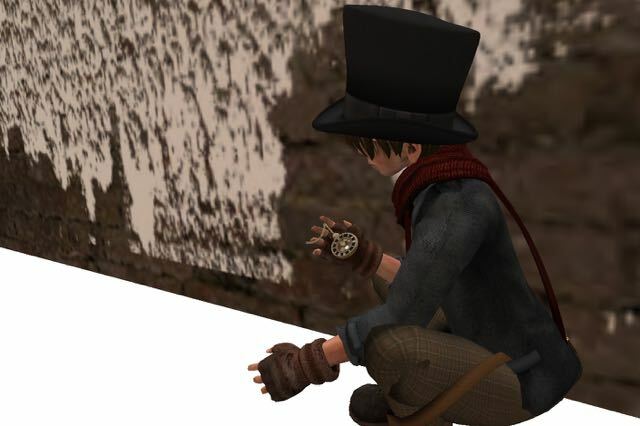 However, this nearly happened in the story called “Runs Like Clockwork” when a small clockwork toy found himself employed in a wealthy home, as a reader for a sick child. In this story, it was my intention to add a twist to the plot and use the butler as a villain. The butler would rob the family of their silverware and then frame the clockwork toy. This was the longest story that I have ever written, at nearly 25 000 words. The theft and resolution was planned to happen in the latter part of the book. As I was working through the story, I found that the development of other parts of the plot required more input than I had anticipated. I realised that, if I complicated the matter by adding a burglary, it would require a substantial amount of work to bring this sub-plot to closure. I felt that this might become a major distraction to the main storyline and so I revisited earlier chapters and deleted a lot of the groundwork that I had already written, regarding the butler’s deviant character. Finally, in the story, he just ended up as being a basic servant who occurs randomly throughout the plot as a subsidiary character and simply “fills a space” in the story. Here is your opportunity to show off your skills. Choose a scene, from a hundred words to a thousand or so, from the book, that highlights your major skill, be it dialogue, description, suspense, or whatever, and paste it right here. Dazzle us. Seduce us. Hook us! I feel that the strength of my stories lays in their enchanting illustrations. I hope that you may excuse me for adding a couple of pages of graphics instead. No excuse needed for providing such fine examples as that! Where do you see yourself as an author in five years? What advice do you have for young people just starting out on the grand adventure that is writing? Not the usual “Keep trying, don’t give up.” You’re a writer. You’ve met some of the monsters that lurk along the path. What kept you at it when your own mind was protesting that you couldn’t possibly do this? I once heard that writing a book is like making love to an elephant. You have to be crazy to start! It’s an incredibly difficult task. You have to wait twenty-two months (usually longer) before you see the results of your labours. Finally, you may get killed in the process. My advice for any young person starting out is that they should bear this in mind and simply be true to themselves. If they are happy with what they doing, then that is good. If they are not, then it is time to change direction and find other outlets. This question is optional because it solicits information about yourself rather than your book: Briefly describe your favorite movie. What feature about it makes it your favorite? What character in the movie is most like you, and why? The film that inspired me the most was the movie called “Billy Elliot.” It tells the story of a young teenager growing up with his father and elder brother in a mining community (in North Yorkshire, UK) during the turmoil and hardship of miner’s strikes. Both Billy’s father and his elder brother were miners; it was expected that he would become one too. However, Billy had a passion for ballet dancing and, in the end, he was able to realise his dream. I loved the film because of its powerful storyline: be true to yourself. If you get an opportunity to see this film (or “Billy Elliot – the Musical”) it is well worth watching, if only for the beautiful dance sequences. Are you a seat of your pants writer or a structured writer? I’d like to think that I am neither one nor the other. I would consider myself a recreational writer. When I am feeling creative and I want to relax, I write. When I am uninspired and tense, I don’t. If I don’t feel like writing, I don’t do it. Most important, where can we get your book? Currently I have written sixteen stories. They can all be found for sale at Amazon, iTunes and Kobo. I am pleased to say, I have set the price of each one to the lowest that the Amazon software will allow and then I have priced those on iTunes and Kobo to be the same. I hope that readers will appreciate that all my ebooks are very reasonably priced. And that concludes our visit with Maxwell Grantly, quite a talented graphic artist as well the wielder of a nifty storyline! To give you an idea how prolific he is, in the week since I conducted this interview, his newest offering, Jack and the Space Pirates has hit the shelves. Look for it, along with his other brilliant children’s works, at Amazon, iTunes, Kobo or at the steampunk bookstore, found at The Empire Booksellers. The ol’ schedule on the wall says that I’ll be back next Sunday with another offering. Until then, play nice, look out for one another, and read like your life depends on it!